Need a yummy chocolatey treat? 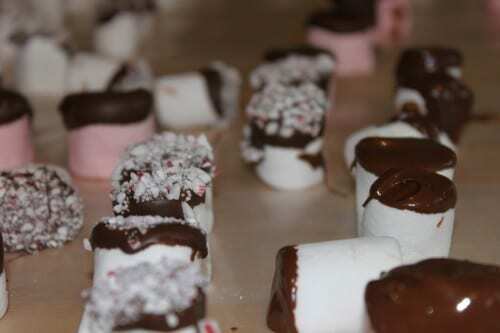 I gathered all of the kids together and we made chocolate dipped marshmallows. They are so yummy and completely fun to make. This is a snack is fun to make and yummy to eat! Plus, it is super easy so even the little can help! Pour one bag of Milk Chocolate chips into a microwave-safe bowl. Melt the chocolate chips in the microwave on low, and only for 30 seconds at a time stirring each time. Chocolate can burn in the microwave so you want to melt them very slowly. When chocolate is nice and smooth you can begin dipping your marshmallows into the chocolate. Before the chocolate sets, you will want to either sprinkle or dip the chocolate covered marshmallows into the crushed candy canes. You could also get creative and use all sorts of different candy or nut toppings to stick to the chocolate. Candy canes are great for Christmas but you could use any candy and make these a perfect anytime snack. We did have a lot of fun making these, but our favorite part was eating them! 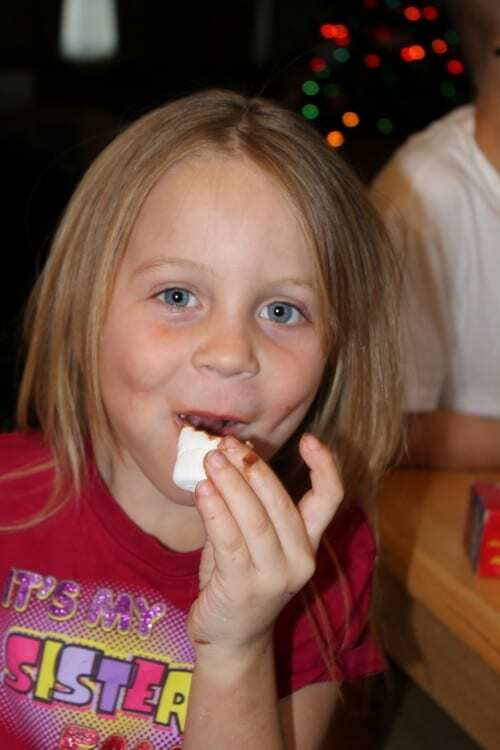 What yummy toppings will you dip your marshmallows in? Share and leave a comment below! 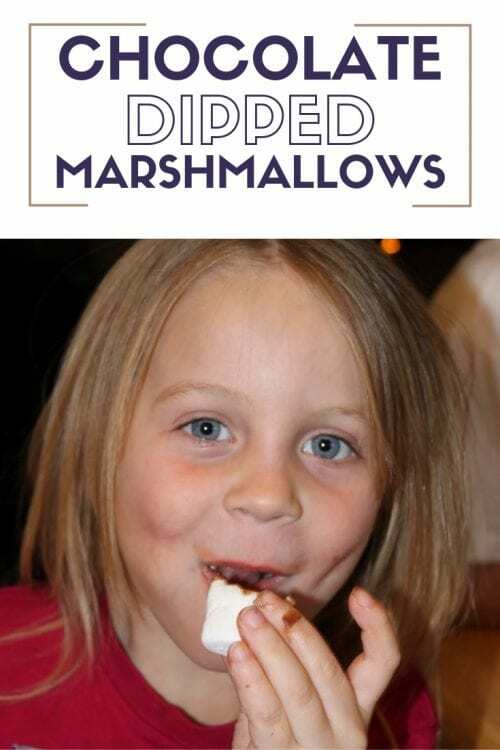 SAVE HOW TO MAKE CHOCOLATE DIPPED MARSHMALLOWS TO YOUR FAVORITE PINTEREST BOARD! I’ve seen this on Pinterest and it looks so yummy! Want to make them! Thanks for linking to Things I’ve Done Thursday! So simple for the kids & looks tasty! Thank you for sharing. I am your newest follower and I look forward to reading more of your posts! I would appreciate it if you took a moment to stop over at my blog and followed me back. Thank you! Oh yumm! These would be fun to make! We normally have hot chocolate and marshmallows with a Christmas movie (of course) on Christmas Eve. Now I think we are going to crank it up a little with your lovely chocolate dipping tip. Thanks for sharing! Oh, I don’t even dare too look. Sugar!!! I must stay away, but I guess that girl lovvves ‘m.